AA Super Klean offers residential/home carpet cleaning as well as care for your commercial business. Take a moment to learn more about our services. No matter what style of carpet suits your fancy, it is important to take care of it throughout the years. The floors of our homes see some of the most wear and tear over time, especially in high traffic areas such as the bedrooms, family room, and finished basements. Regular professional carpet cleaning helps maintain the high-quality look and feel of carpeted floors. Over time, investing in better carpet care can save you money because you won’t have to redo your floors as often. Not only does cleaning your carpets help take care of the floors themselves, but they help make your living environment healthier. The more dirt and stains are walked into your carpet, the tougher they are to remove. And dirty carpet is just another source of bacteria growth, which can cause allergies and sickness. Our Top Rated Local® carpet cleaning experts recommend steam cleaning the carpets once a month. You can choose from our packages below. Home is where the heart is, and if you have kids or pets, it’s also where the mess is. Taking care of your carpets means more than vacuuming at least once a week. In lieu of DIY deep clean carpet care, a professional clean can be exactly what your carpets need. High-heat steam cleaning is more powerful than a home system. The truck-mounted system makes sure the left-over grime is extracted from the depths of the carpet fibers. It preserves the integrity of your carpets. It makes the carpet look and feel like new. The dirt won’t cause excess allergens in the air. It will smell so good. A clean business is a business that will attract repeat customers. Monthly carpet cleaning helps preserve the integrity of your floors while it keeps your business looking like new. Business owners and managers don’t have the time to professionally clean carpets regularly — not a deep clean at least. Daily and weekly carpet care, such as vacuuming, will pick up the dirt and debris to help prevent damage. However, you can leave the deep steam cleaning to the pros who have the time to do an excellent, thorough job. Restaurants and retail stores are two of our most popular types of commercial clients because they have such heavy foot traffic in and out of their spaces. We also provide commercial carpet cleaning for any type of business in Casper. Whether it’s just you and a few employees working at your start-up small business or there are hundreds of employees, regular office care keeps everyone happy and healthy. And we all know that healthy and happy employees means more work completed on the job. Take care of your employees, your space, and your customers when you take care of your floors. The No Brainer Program is recommended for businesses because it gives two free monthly carpet cleanings every year. Simply make appointments for 12 months and receive the sixth- and 12th-month cleaning on us. It may seem minute to care about the carpet in your business. It’s one of those things that, when taken care of correctly, goes unnoticed. However, when proper carpet care is neglected, customers will notice the dirty floors and assume you cannot run a business well or provide the best services because you can’t even take care of your carpets. Don’t let this assumption run customers out of your doors! It proves you care about cleanliness. It protects your investment and saves you money. It keeps your space clean and healthy. Any remnants of spills or stains will be fully extracted. The high-heat steam clean is more powerful than any home system. Take a moment to look through a variety of our carpet cleaning services offered. As your Top Rated Local® Carpet Cleaners, we ensure that you’ll be 100 percent satisfied with any carpet cleaning package you select. If we don’t do the most thorough clean ever, it’s free to you! Pre-spotting for all difficult spots. Heavy duty pre-conditioner on all areas to remove oily dirt and other pollutants. 15% off upholstery and area rugs. Residue free rinse to retard re-soiling. Apply Scotchgard™ protective coating(.22 per sq. ft. value). Qualify for FREE six-month cleaning(No-Brainer Program). Every other carpet cleaning is FREE!! (You will only need to pay for the Scotchgard™). Enjoy fresh smelling, soft feeling, great looking carpets year round. Improved indoor air quality(healthier air). Protect the largest investment in your home(avoid early replacement). 30 day spot and spill insurance. You are asked to schedule a 6 & 12 month cleaning at the time of your acceptance of the program. Note: AA Super Klean will require full payment of the 6 month free cleaning if the 12 month cleaning is not completed as scheduled. 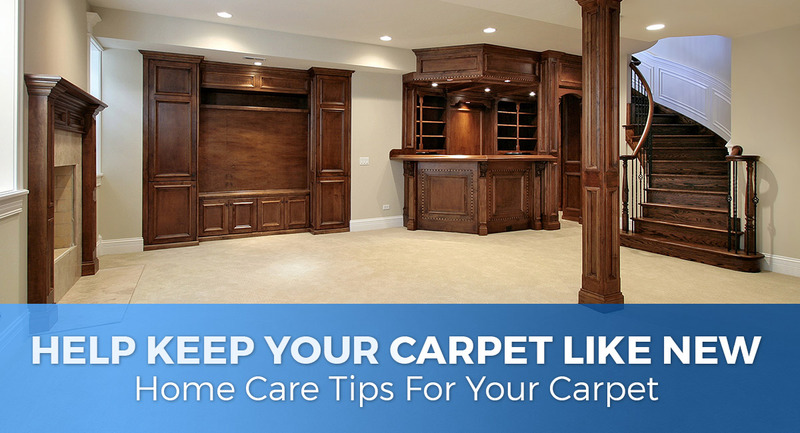 Carpet can last quite a long time with the right care. All it takes is some TLC, a bit of professional attention every now and then, and quick thinking in case of emergency. Help maintain the beautiful color and texture of the carpet in your home with some regular upkeep and a handful of helpful tidbits when things go awry. Check out these tips to help protect your flooring investment. The longer a spill sits on the carpet, the more difficult it will be to remove. Pick up as much of the mess as you can. Use a spoon or a dull knife for solid pieces. Pour hot water on the spill area. Blot this with a clean towel. Don’t assume the mess is cleaned after most of the residue is gone. Get out your trusty vacuum cleaner for the final step. Use the highest suction level and go back and forth over the wet area. The hand-held attachment seems to work best for this. Particularly difficult messes can usually be cleaned by repeating the water, blot, and vacuum process. Repeat this until the mess is gone and the carpet is fully dry. You don’t want to leave a wet spot on the carpet because that can cause mold to grow, which brings on a whole new set of problems. As you may have noticed, it’s not always necessary to use a solvent or a detergent to clean up a mess. If water alone doesn’t clean the mess, you can use a limited amount of detergent. This should be used sparingly because the chemicals can damage the integrity of the carpet fibers, especially if used improperly or excessively over time. Check that the cleaning products you use are approved by The Carpet and Rug Institute of America. It’s important to test the cleaner in an inconspicuous spot of the carpet, in case it does damage or changes the color. Please note, if it damages the carpet, consult an expert for professional stain removal. When you know the chemical is safe to use, apply several drops to a clean white cloth and blot the stain. If this particularly pesky stain still doesn’t come up, you can try this last trick we have up our sleeves. Create a solution of 3 percent hydrogen peroxide and 97 percent water. Pour it on the stain. Let it stand for one hour. Blot. Then, repeat this if necessary until it’s completely clean. A good ol’ regular cleaning can do wonders for the lifespan of your carpet. Invest in a good vacuum that has a strong suction level. 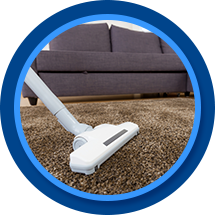 Regular vacuuming (at least once a week) prevents soil from embedding itself in the carpet fibers as it is continuously walked over. Different types of carpet can benefit from certain types of vacuums. You may need a vacuum with a rotating brush, a beater bar, or one with suction only. For an average household, professional cleaning every 12 to 18 months is enough to keep your carpets looking like new. However, busier houses or businesses may want to schedule more regular cleanings to keep up with the traffic levels. A deep clean once a year can be compared to a trip to the doctor’s office for a physical checkup. An examination by an expert can help make sure things are in good working order. Plus, it smells so good after a thorough, deep steam clean throughout the house. Call a professional right away. Excessive water damage can be the end of your carpet, but not necessarily. With speedy action, the carpet can be saved. On the contrary, water that sits for a long time on carpet can lead to the complete loss of the flooring and an unwelcomed mold problem. After you call for help, get to work. First, make sure the area is safe. Then, focus on the water removal. Pros can bring along extraction machines, but you can begin the process by using buckets, mops, towels, and wet vacs. Check out one of our blogs to learn more about how to clean up a huge water mess. See that snag in your carpet? Don’t pull it! Instead, use scissors to clip snags and sprouts. Is your carpet burned? Curved fingernail scissors can do the trick. Cut off the top burned pieces with these scissors. Large burn areas may need to be patched. Heavy furniture dents can be revived with the edge of a coin. Stroke the areas of carpet that are matted with the coin. If that doesn’t quite work, grab a hair dryer or steam iron… but don’t touch the carpet with the iron. If you do, check out that tip about fixing burned carpet. Ultimately, the integrity and longevity of your carpet depend largely on how you care for it through the years. To summarize, it’s important to vacuum regularly and clean up spills immediately. When it comes to super tough stains and excessive amounts of water, call the pros for some help. Finally, sometimes it just takes a little bit of elbow grease and the right solution to fix your carpet woes. Most carpet can be restored to look like new after some TLC. We offer a treatment for your carpet that is second to none when it comes to those little accidents your pets have. We can get deep into your pad so you don't have to replace the carpet. SOS! We provide emergency services for water clean-up and carpet and upholstery restoration. No matter the time or day, AA Super Klean provides 24-hour emergency carpet cleaning in Casper. Our team will help extract the water from the area and dry the floors and upholstered furniture so it does not grow mold and mildew.